This boy has an anthropomorphic egg head. "I've flipped over you! You're the eggiest! Teacher." 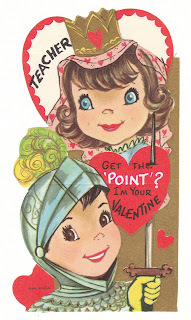 A little boy is dressed as a knight in armor and a little girl is dressed as a princess on this Valentine. "Teacher - get the point? I'm yours Valentine." A cute little fox offers a bouquet of flowers on this Valentine. 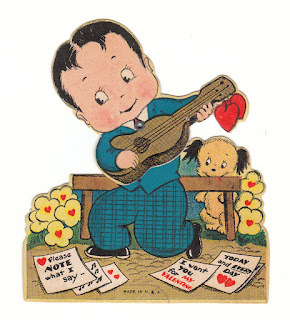 "My Valentine wish has lots of LOVE in it. 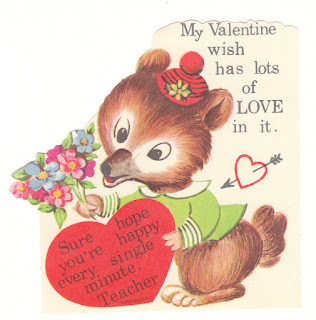 Sure hope you're happy every single minute teacher." 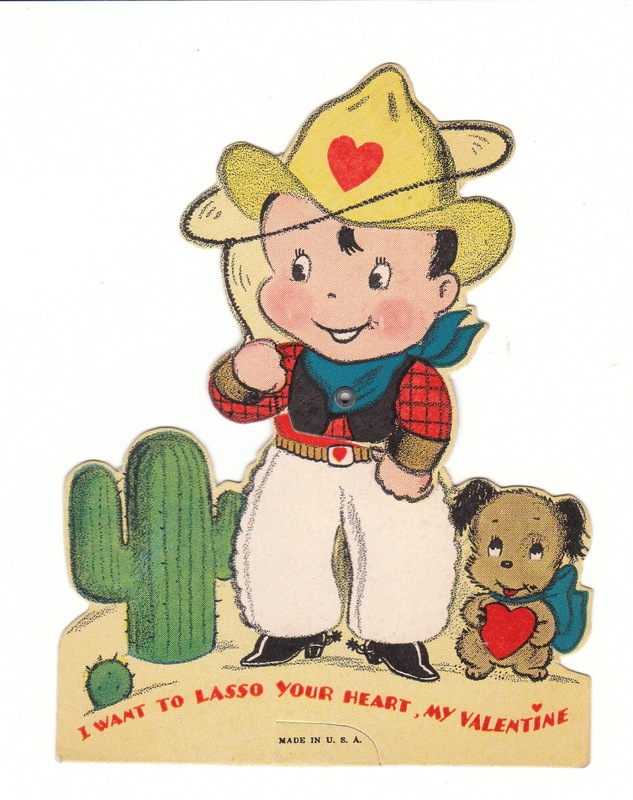 This especially cute mechanical Valentine features a little cowboy (he moves at the waist) and a terrier dog. "I want to lasso your heart, my Valentine." This mechanical Valentine features a boy fishing, a little girl with a picnic, and a small dog. 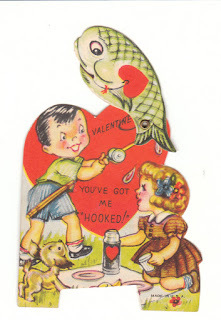 "Valentine - you've got me hooked!" 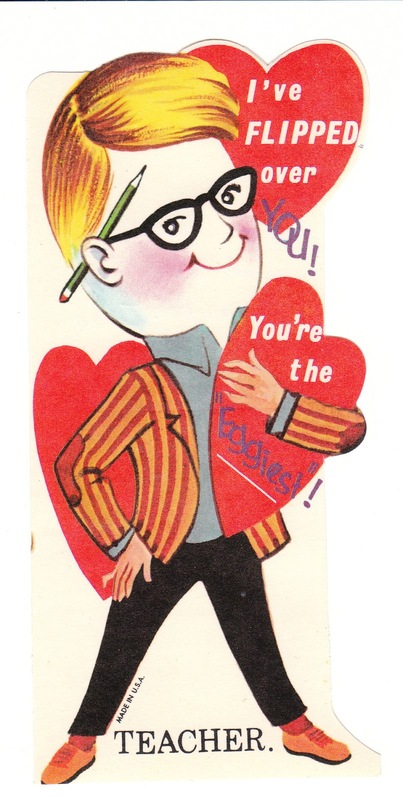 This is a cute 1960's vintage postcard. 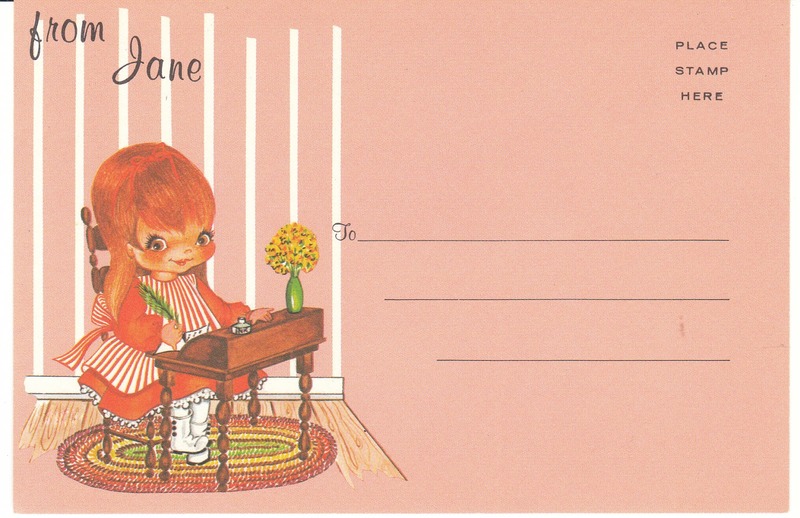 It features a little girl at an antique desk. "From Jane." 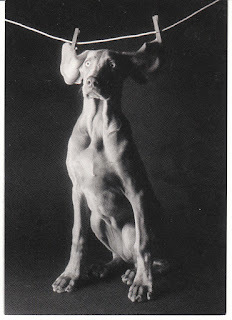 This blank card features a photo of a Weimaraner dog on a clothesline. It features a Harry Giglio photo. This unused blank card features a wolf and her baby. It is a Joy Shannon illustration. 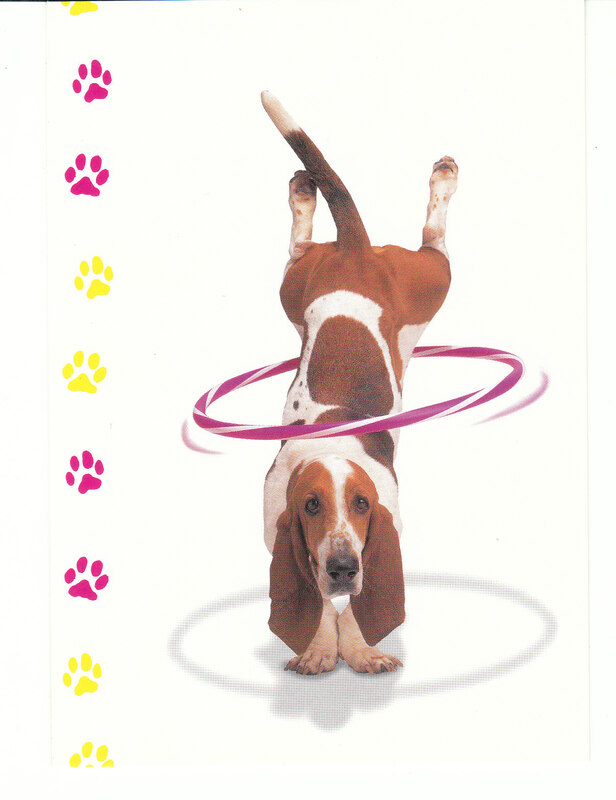 This is my favorite of the cards. 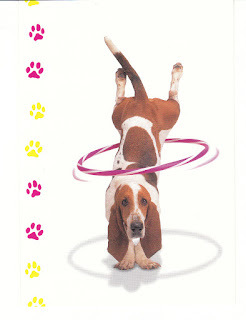 It features a basset hound playing with a hula hoop. 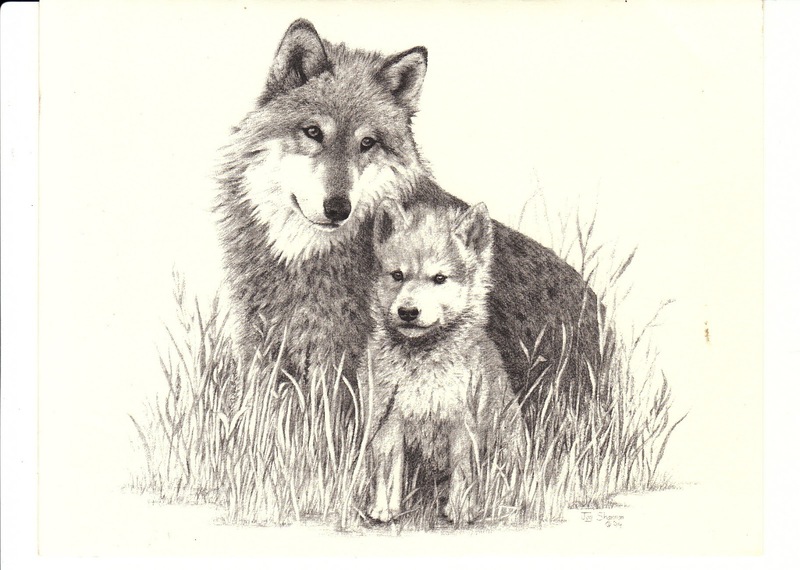 It features a photo by David Belda. This is another great mechanical Valentine! It features a boy playing the guitar (he moves at the waist) and a terrier dog. 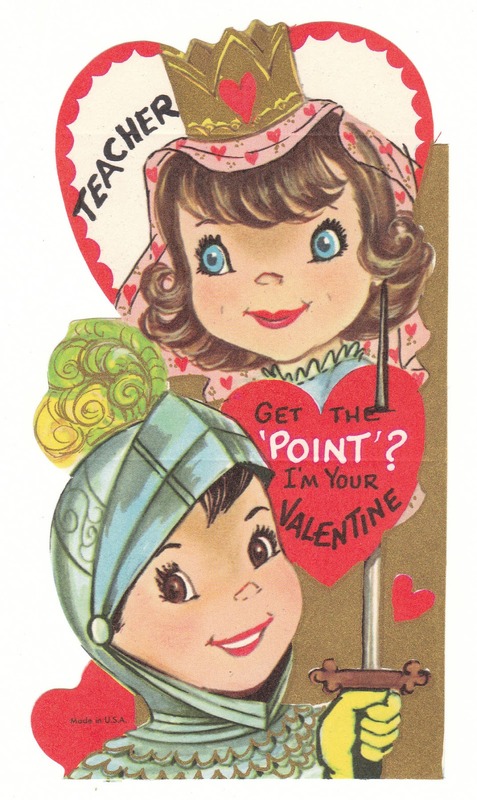 "Please note what I say - I want you for my Valentine today and every day."